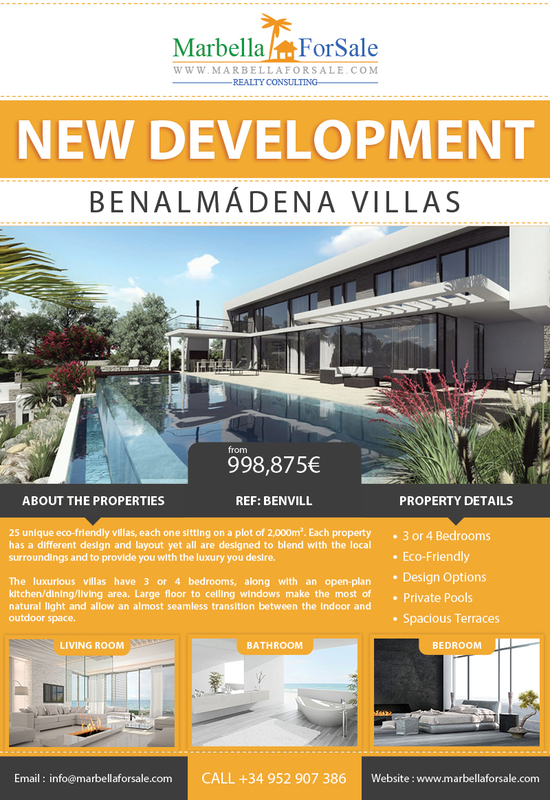 Benalmádena Villas is a new project in the last pristine valley of Benalmádena. The project consists of 25 unique eco-friendly villas, each one sitting on a plot of 2,000m². Each property has a different design and layout yet all are designed to blend with the local surroundings and to provide you with the luxury you desire. 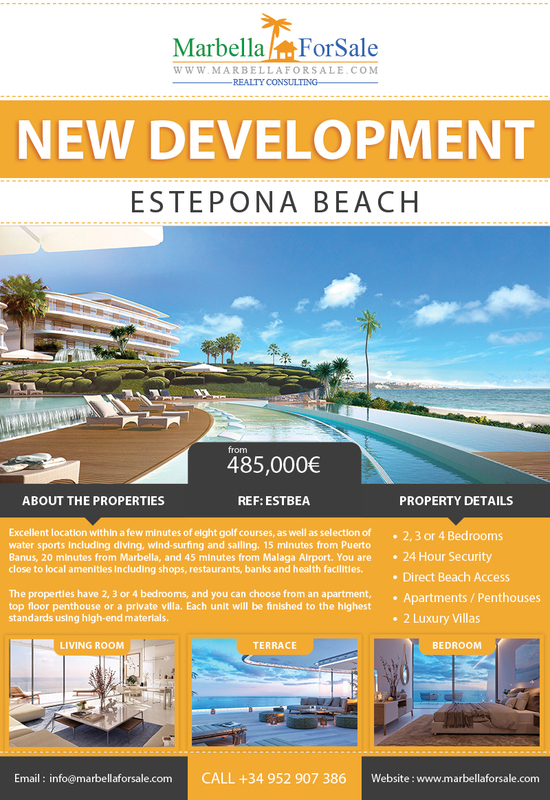 Introducing Estepona Beach – A new development of properties with 2, 3 or 4 bedrooms, and you can choose from an apartment, penthouse or a private villa. Each unit will be finished to the highest standards using high-end materials. 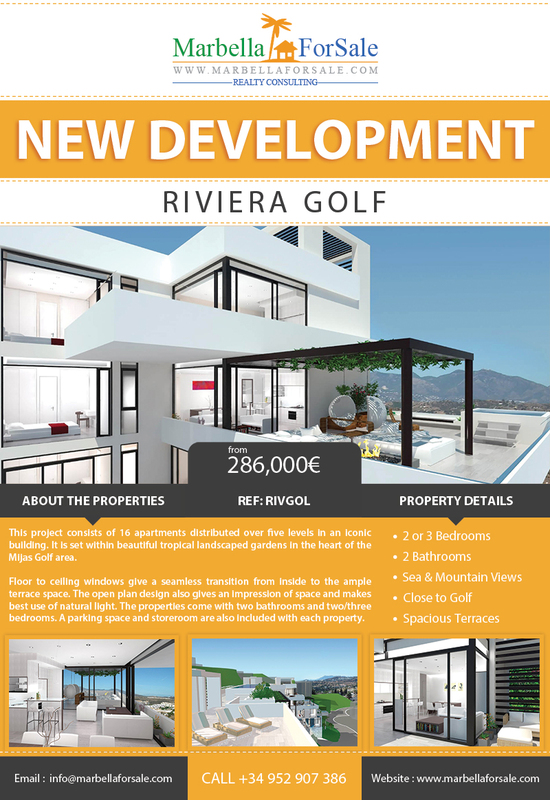 Riviera Golf consists of 16 apartments distributed over five levels in an iconic building. 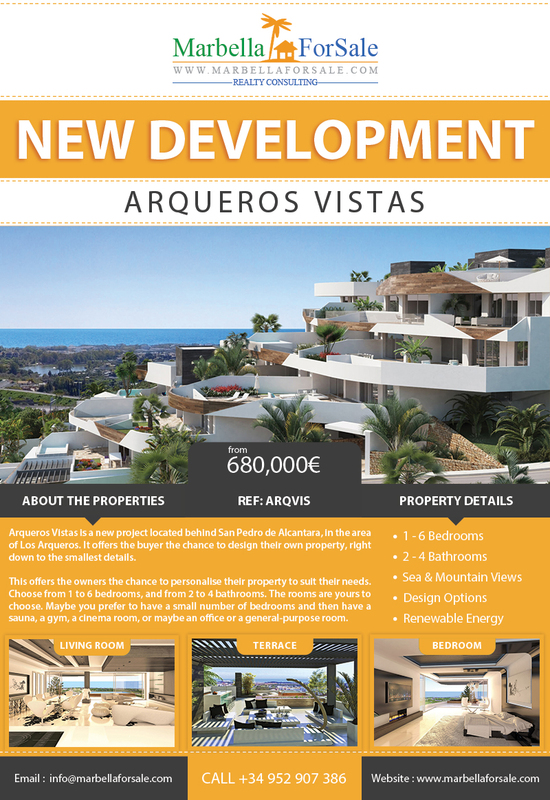 It is set within beautiful tropical landscaped gardens in the heart of the Mijas Golf area. 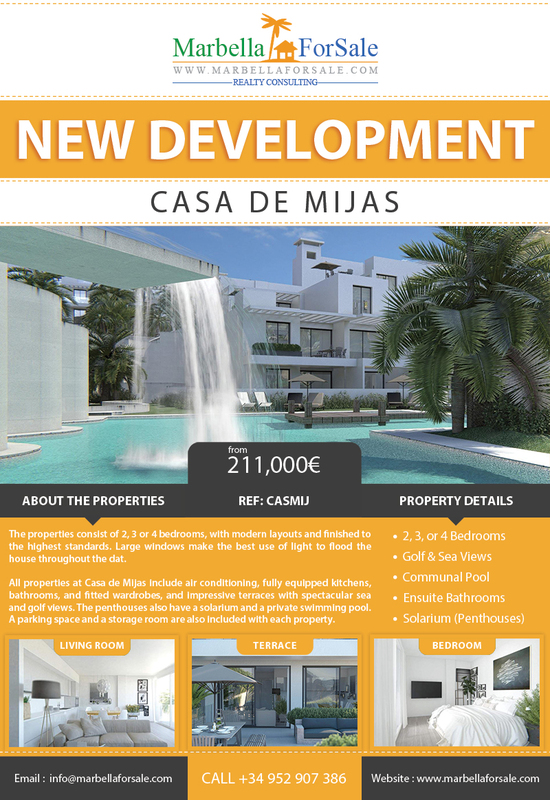 We are pleased to present Casa de Mijas – a new development of apartments and penthouses with a modern design and luxury qualities, in a privileged location with amazing sea and golf views.